Posted May 5, 2017 by Seán Kinane & filed under Health, Health care, National Politics, News and Public Affairs. 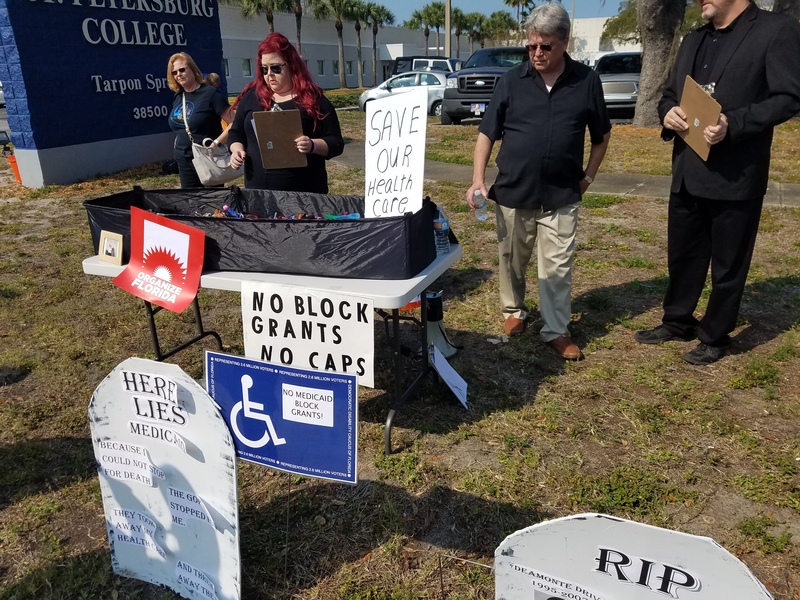 There have been protests in Florida and elsewhere against Congress members who voted for the American Health Care Act on Thursday. Debbie King is a community organizer with Organize Florida. She’s helping to lead what’s called: “Emergency Protest No Trumpcare” Friday afternoon in Lakeland.